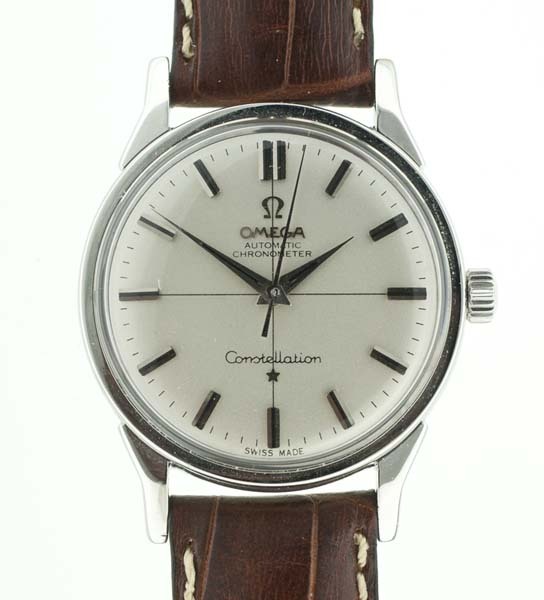 Vintage Omega Constellation dating to 1962. 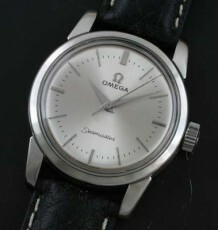 Steel dog-legged case with original Omega crown and crystal. 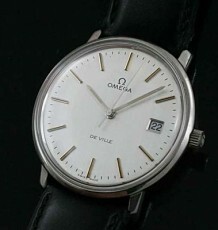 A vintage Omega Constellation dating to 1962. 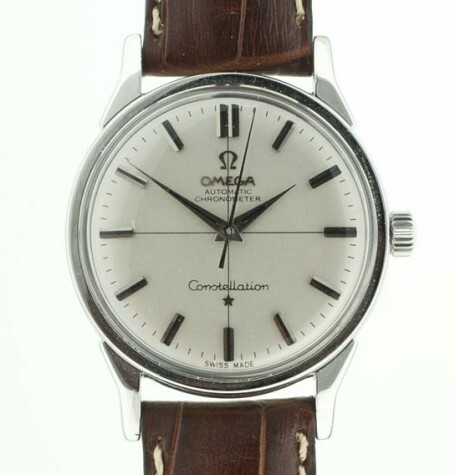 This vintage Omega Constellation represents fantastic value for anyone looking for a high grade wrist watch. 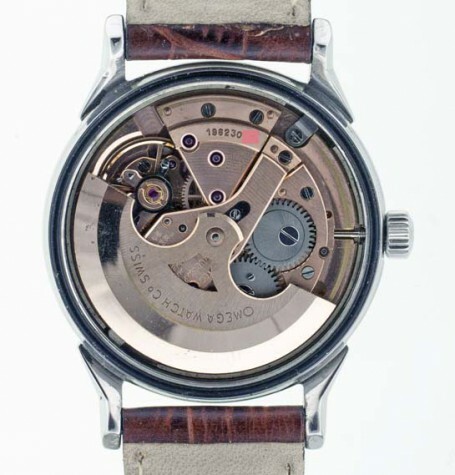 The mechanical engineering in the watch was a high water mark for over 50 years. 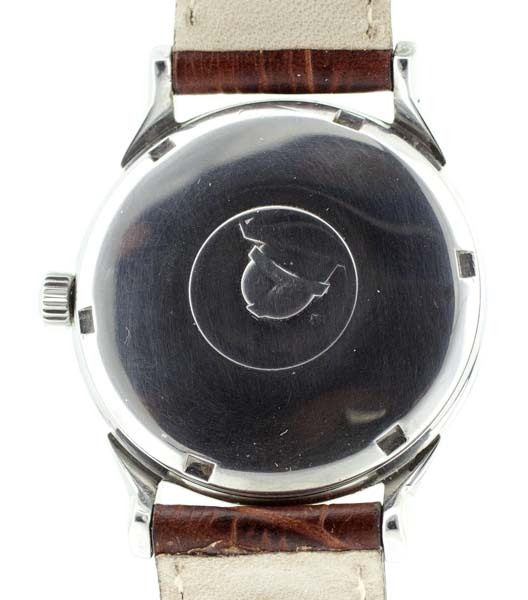 Following the 1960’s more money was put into developing Quartz and battery powered watches and mechanical watch design suffered. This was one of the last great watch movement designs of the period. 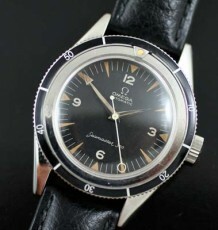 The 24 jewel Omega caliber 551 is the Chronometer rated version of the famed Omega caliber 552 found in the iconic Seamaster 300 divers watch. This movement in adjusted to 5 positions and temperature. 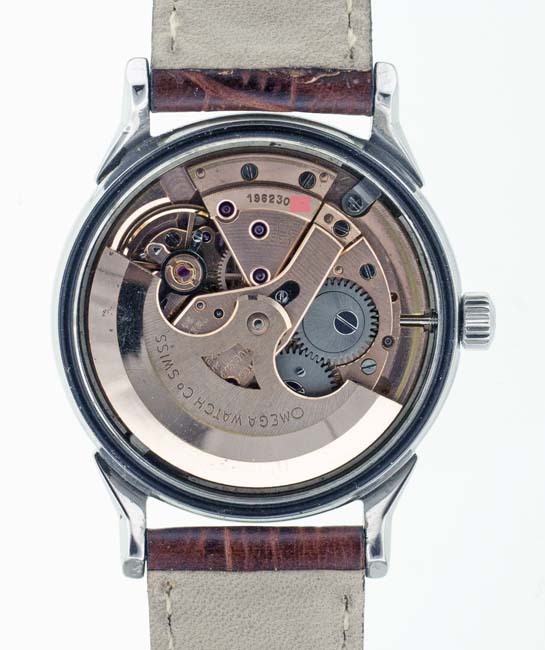 The watch was recently serviced by my watchmaker and is running flawlessly. 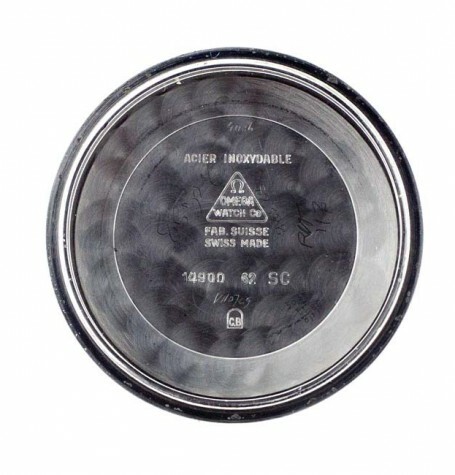 The white dial has been restored to its original pattern and condition with the desirable cross-hair line pattern dividing the quadrants of the dial. 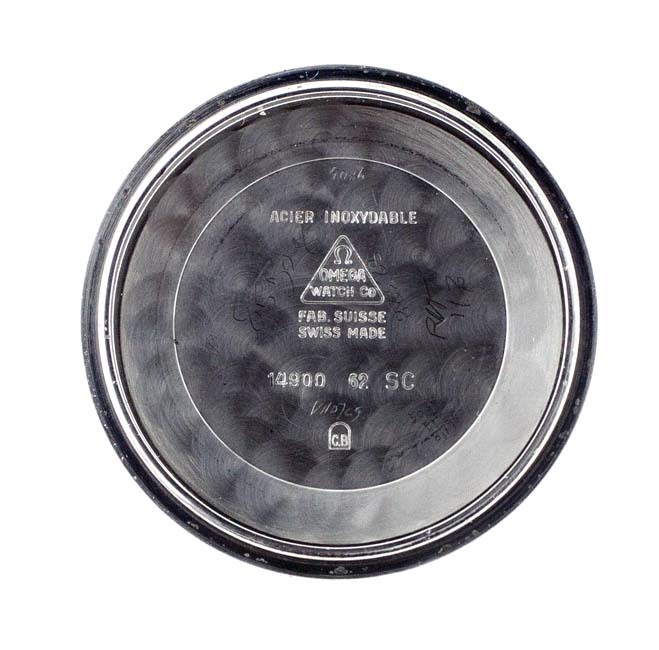 The dial also features steel hour markers with onyx inserts. 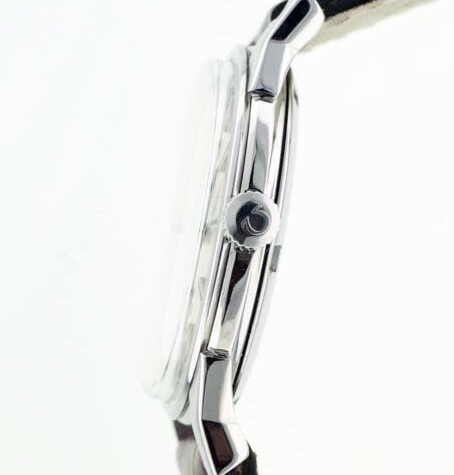 The hour and minute hands are the period correct and original dauphin triangular shape. 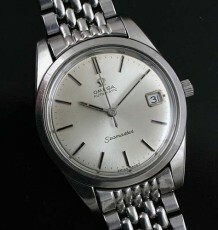 The original steel case with dog-legged lugs is fitted with a new original Omega crown and crystal. The Omega Constellation logo on the back is slightly worn but still visible. 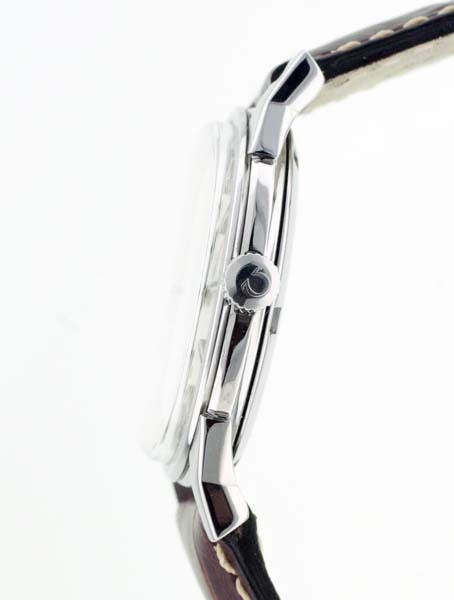 The watch measures 34.5 mm wide and is supplied on a black or brown leather strap as pictured.